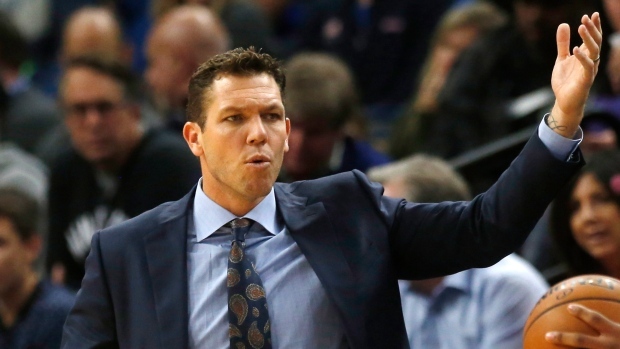 Former Los Angeles Lakers head coach Luke Walton has reportedly agree to terms with the Sacramento Kings to become the team's next head coach, according to The Athletic's Sam Amick. The terms of Walton's contract will align with that of Kings general manager Vlade Divac, who is under contract through the 2022-23 season, per Amick. Walton spent the past three seasons as head coach of the Lakers with a record of 98-148, missing the playoffs in all three seasons. He and the Lakers mutually agreed to part ways on Friday. The Kings fired head coach Dave Joerger on Thursday. The franchise hasn't made the playoffs since the 2005-06 season and finished 39-48 this year.